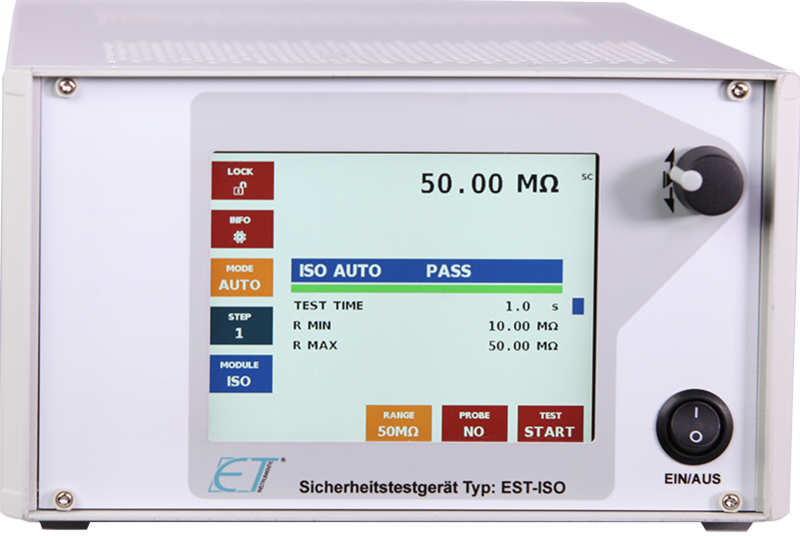 The insulation test unit EST-ISO is measuring with a test voltage of 500 V DC the insulation resistance of components, units and systems. The resistance measurement range is 0,5 M Ohm to 50 M Ohm. The insulation unit has got safety current limitation which is connected with short switch off times in case of an error. The measurement resolution is 12 bit. The adaption to the test item follows via plug and 4mm plug-in sockets.